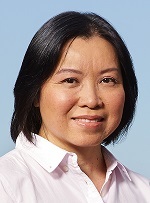 Dr. L. Ruby Leung, a Pacific Northwest National Laboratory atmospheric scientist and Battelle Fellow, received an invitation to serve on the National Academies of Sciences, Engineering, and Medicine's Board on Atmospheric Sciences and Climate (BASC). The board works to advance understanding of atmospheric and climate science, providing advice to the federal government and guiding U.S. research programs on how to meet the nation's needs. The BASC meets in person twice a year to talk with agencies involved in atmospheric and climate science, discuss new and emerging science, and plan initiatives. Members also provide oversight for activities such as discussion forums and program reviews, examine new ideas for studies, and pinpoint important, up-and-coming research areas. Leung will attend the BASC's workshop on the future of boundary-layer observations October 24-26 in Warrenton, Virginia. The board's fall meeting is November 6-7 in Washington, D.C.
Board members are chosen based on their abilities to serve the BASC in its various functions. Terms typically last three years, with an option to reappoint after the first term. In February, Leung and fellow PNNL researcher Johannes Lercher were elected to membership in the National Academy of Engineering. They were recognized at the NAE's annual meeting, which took place October 8-9 in Washington, D.C.
Leung is a fellow of the American Geophysical Union, the American Meteorological Society, and the American Association for the Advancement of Science, as well as a member of the Washington State Academy of Sciences.